The pop tarts were fun to make and eat, but my favorite recipe from last weekend was this Summer Vegetable Tian from Budget Bytes. 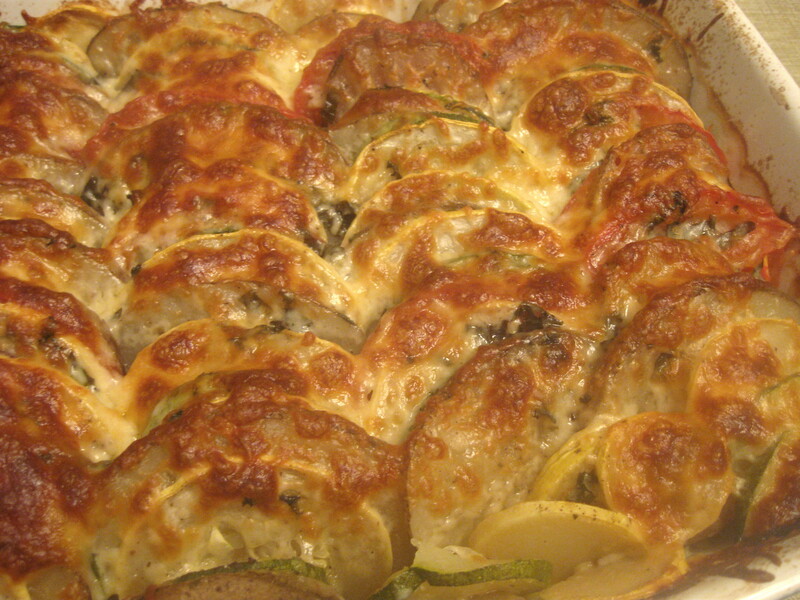 It has all the best ingredients like zucchini, tomatoes, and cheese. It also has a pretty presentation, worthy of an elegant summer dinner party. You start with a mixture of sauteed onions and garlic in the bottom of the dish. 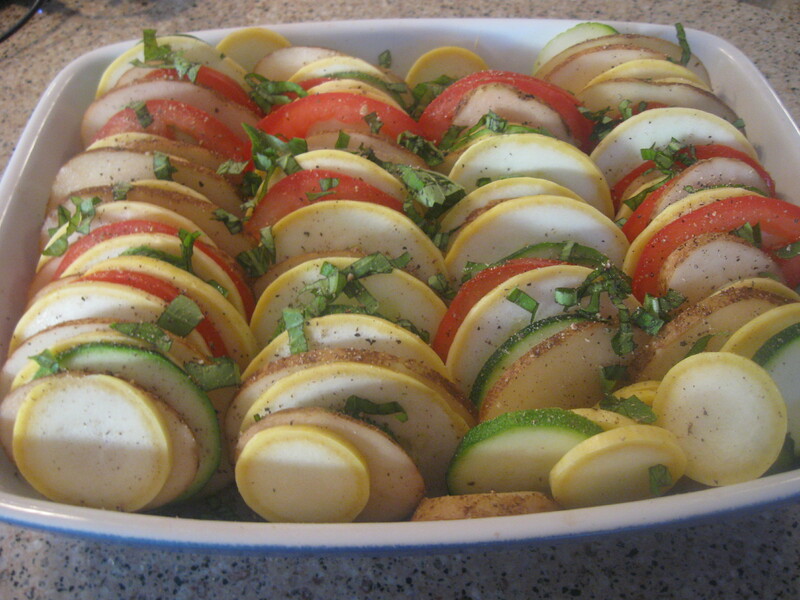 Then you slice all the vegetables thinly, and layer them in the dish standing up. We used fresh basil instead of thyme, which gave this dish a bit of Italian flair. The dish is covered tightly with foil, which steams the vegetables in the oven. Then you add the cheese (we used a blend of mozzarella, provolone, and Parmesan), and bake the dish for a while longer. When it’s finally done, you have this beautiful tian. Everyone loved it, and it will be on the table again very soon! It might even get the rest of my family to eat summer squash uncomplainingly! Even for a non cheese lover this looks excellent. I’m going to the farmers market Thursday. This will be a perfect veggie dish. Looks great.